The 8mm f/3.5 Fisheye Lens for Pentax K from Rokinon gives you a 180° view with dramatic, exaggerated perspective when used with an APS-C camera, or a circular image floating in the frame when used with a full frame digital camera or 35mm film camera. With hybrid aspherical lenses and multi-layer coating, you will produce sharply defined images with a minimum of flare and ghosting. 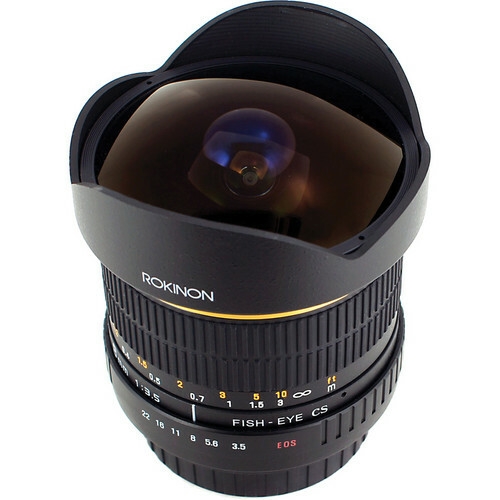 The 8mm manual focus lens focuses as close as 1' (30.48 cm) from the lens, and has a built-in petal lens hood. Box Dimensions (LxWxH) 7.4 x 5.0 x 4.1"
8mm f/3.5 Fisheye Lens for Pentax K is rated 4.7 out of 5 by 14. Rated 4 out of 5 by Hatsofe from I like it very much. Enormous field of a view.High resolution in the centre at wide open, or all the way to the edges if stopped down to f8. Very good contrast and colours.Visible chromatic aberration in high contrast areas when wide open. Relatively light weight. Aperture control works perfect from the camera (K 5iis). It takes a practice to focus precisely through the viewfinder because of very wide depth of field.I use magnifying viewfinder but yet get number of out of focus if the aperture at max opening. Unfortunately it doesn't have the depth of field by the aperture value scale. With such a depth of field the objective can be adjusted by simply estimating the distance to the object. Soft pouch in the kit is quite useless. Rated 5 out of 5 by Schweinstein from Excellent fisheye for the money This fisheye is great for the money. It produces sharp images with a very wide field of view. If you are worried about the fisheye look you can practice shooting a scene in such a way that it isn't drastically apparent or you can get software such as fisheye-hemi to correct the lens distortion. The only con about this lens that I can really think of is that the focus is usually not set properly (for unknown reasons) from the factory and you have to loosen three small screws under the rubber focus ring and calibrate it, but you can find tutorials on this and it's little more than a five minute job that you have to do only one time. Rated 5 out of 5 by MattB from Surprisingly good! Fun! Distortion seems pretty manageable for a lens of this type (also depending on your composition and subject). Needs a little CA correction in Lightroom for high contrast shots but for the money it's amazing. I use it a ton more than I ever thought I would when I bought it. I don't consider manual focus a con when they tell you ahead of time. It's also easy to focus so no big deal. Rated 4 out of 5 by Engel1196 from Great Fisheye. I find this one of the better fish-eyes on the market, although there are not many uses for fish-eye lenses, when one is needed this is definitely good to have, especially at the price. The lens is built extremely well, made out of metal, and it's quite rugged. The only thing I dislike about this lens is that it does not auto focus,although that's not a big issue since it's quite easy to manual focus with this lens. All in all definitely a worthwhile piece of glass to purchase. Rated 5 out of 5 by Bajora from Incredible Images an Affordable Lens I shoot both stills and HDSLR through my Pentax bodies and am thrilled to have added this Ultra Wide angle lens to my bag. I have ogled, oohed and ahhed fisheyes for years but always thought their typically high prices would keep me from ever springing for one. I caught this Rokinon at a great sales price and it works splendidly with both my K30 and K01 bodies. We shoot product reviews and love the mind bending photos that this lens generates. 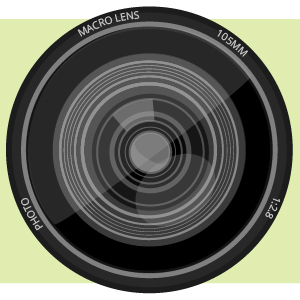 The lack of autofocus is not a deal breaker, as others have commented. Rated 4 out of 5 by Anonymous from Nightscapes 180 degree view Good price Fast shipping I bought it for nightscape and architectural photography. Still waiitng for my intervalometer purchased from another source.